Now that school and activities are in full swing, “grab and go” snacks are a major topic of conversation in our house and this Caramel Apple Trail Mix is the latest addition! The kids are trying to be more involved in planning, selecting and making quick snacks for their lunch box, after school and before activities. 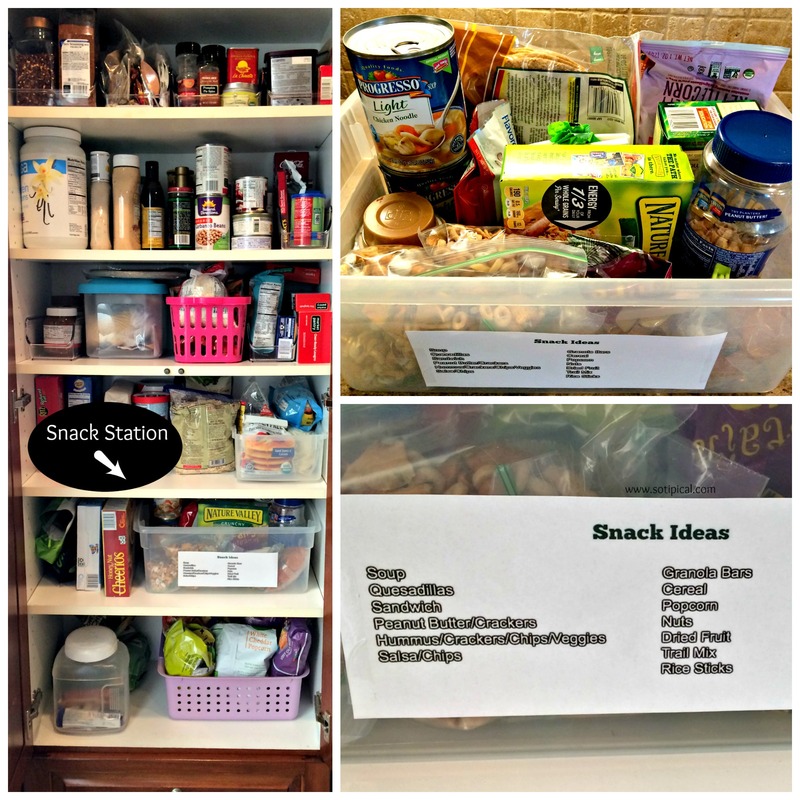 To help them get started, I created two snack stations with ideas of light, easy to make meals and quick snacks to grab on their way out the door. 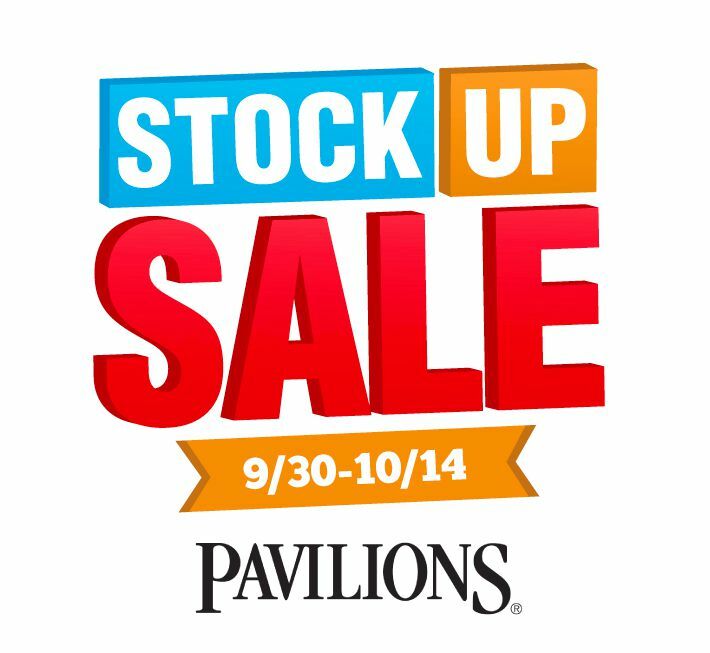 * Other Albertsons Banner Stores include: Safeway, Jewel-Osco, Randalls, United Supermarkets, Tom Thumb, Acme, Star Market, Shaws, Carrs, Market Street and Amigos. 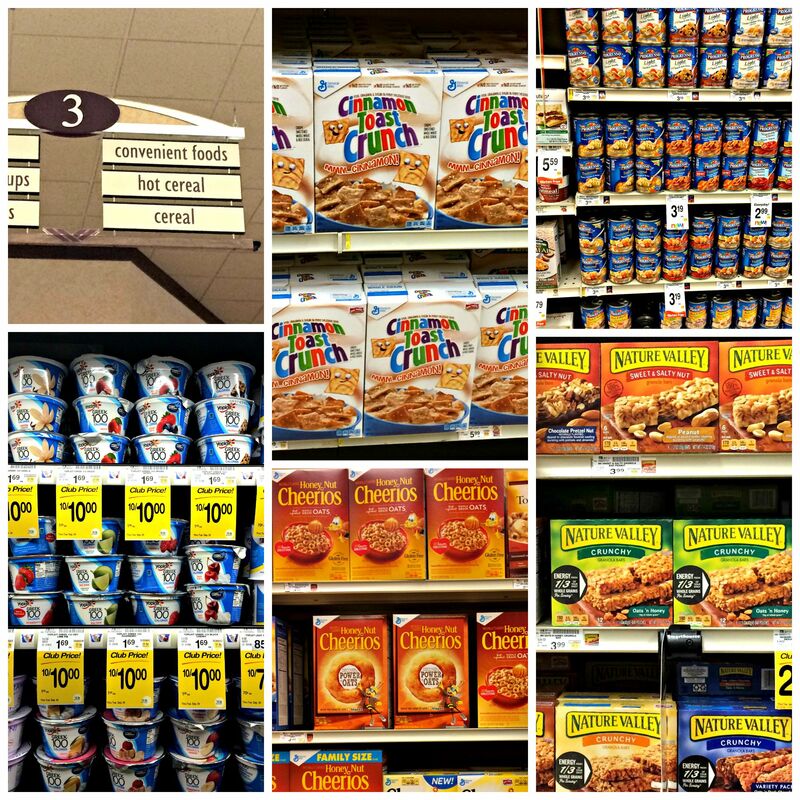 We found several great General Mills items to include in our two snack stations. As we were wandering around the store, looking for additional snack ideas, we passed the seasonal aisle and caught a whiff of the cinnamon pine cones! I LOVE the smell of them. They were located near the pumpkins and gourds. Then we passed a caramel apple kit and I immediately thought of a fun snack to make for our snack station! 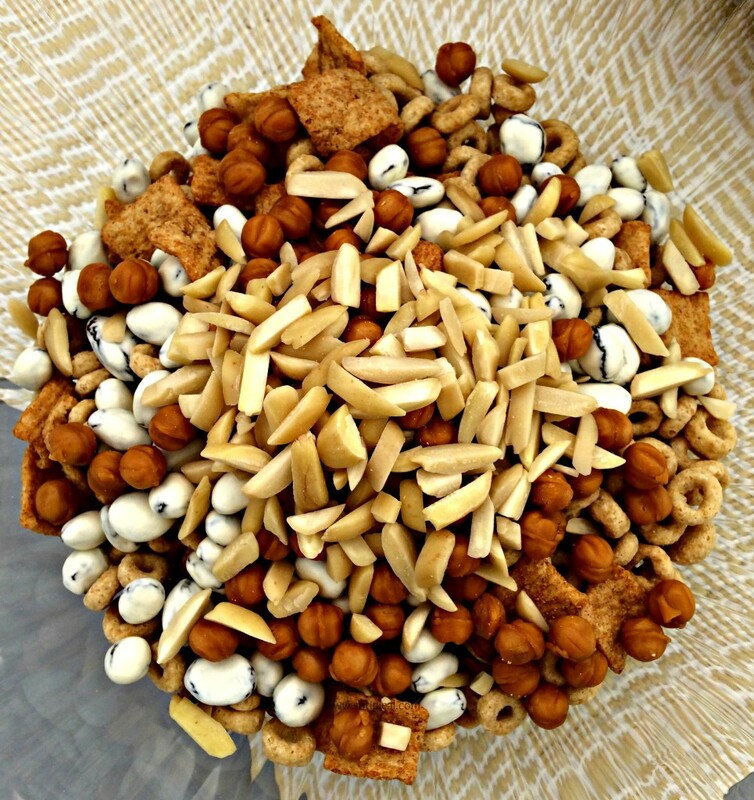 I love seasonal snacks and so do my kids! Next up was our deli drawer in the fridge. I dedicated half of it to healthy snack items. 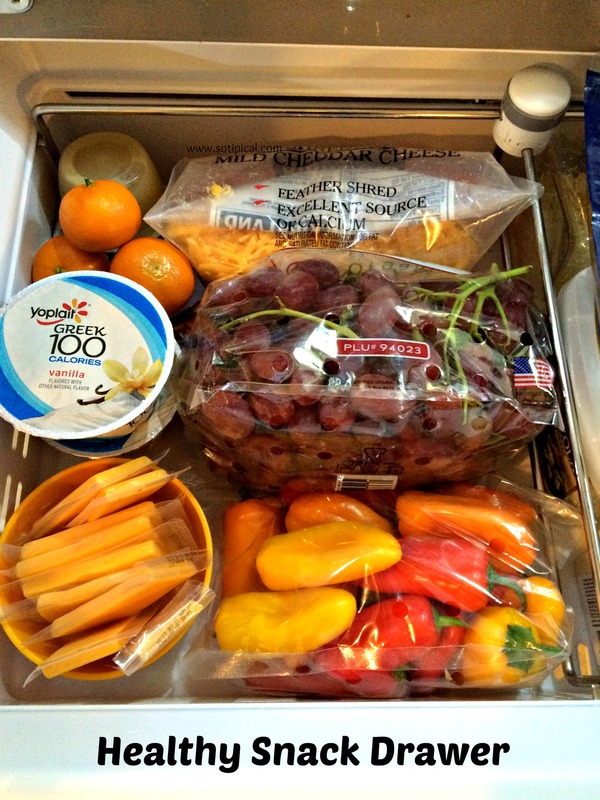 Fruit, veggies, cheese and yogurt. Having everything in one place is so much easier! There is also less of “MOM, what can I eat? !” Its all right there and they know exactly what is available to choose from. Let me just say: Best. Idea. Ever! 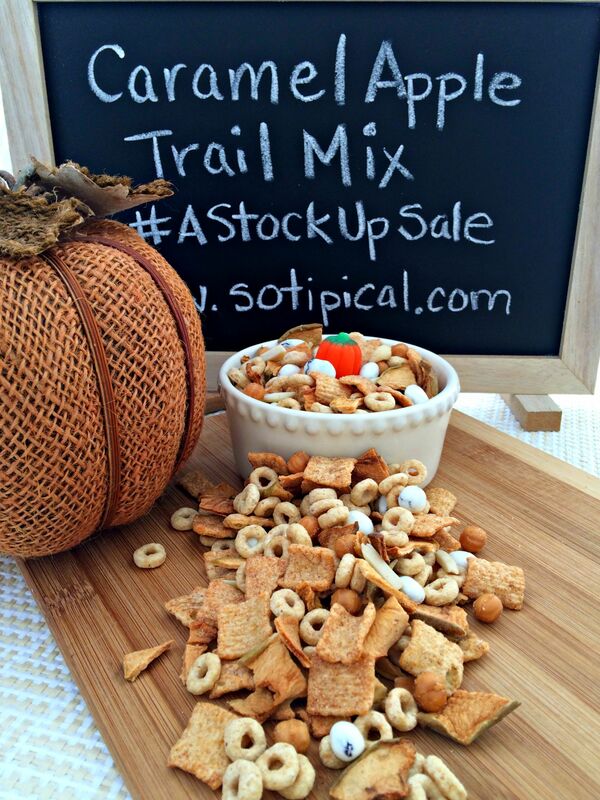 So lets get back to the seasonal snack idea… I decided to make a Caramel Apple Trail Mix! 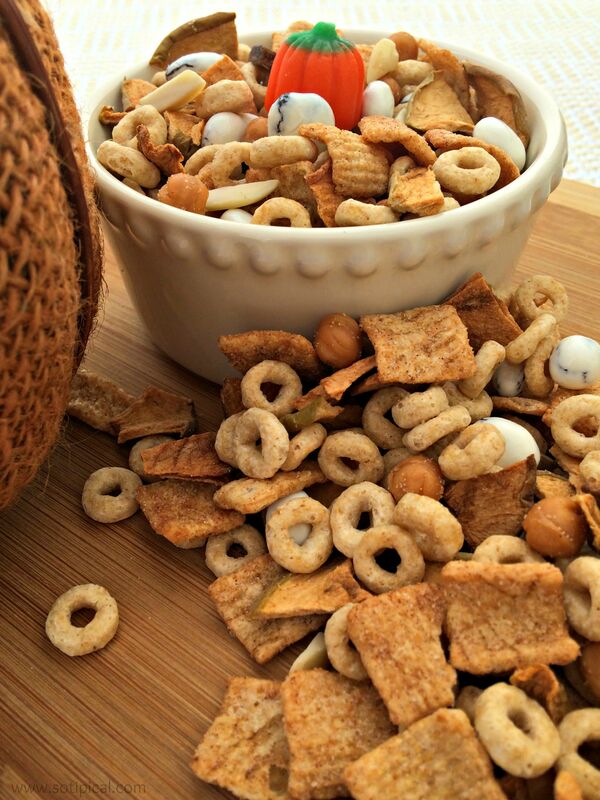 Combine all ingredients in a bowl and mix well. Store in air-tight container. I filled snack sized zipper bags with 1/3 cup of the Caramel Apple Trail Mix and added them to my snack station. The kids will grab one for their lunch box or for a quick snack after school. It really is so delicious! When I eat some it just reminds me of fall! What is your favorite fall-inspired snack? Wow those prices are great. Too bad we don’t have that here. 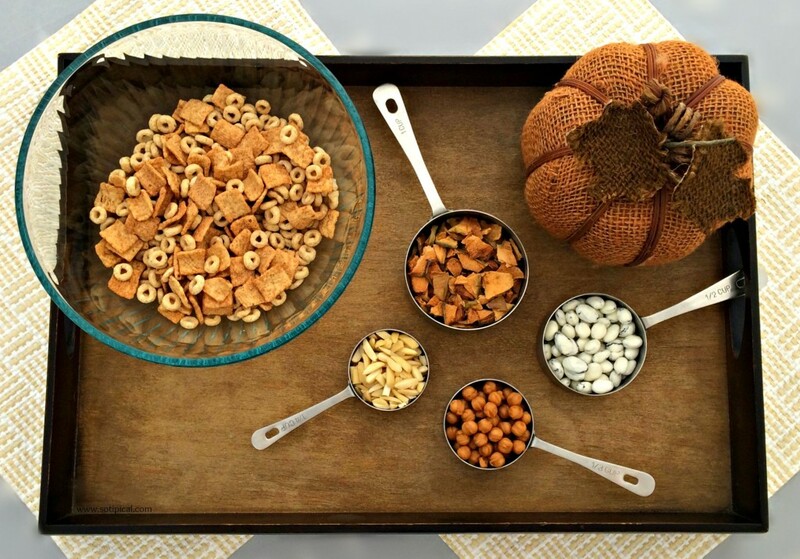 Great looking snack mix, perfect for the season. So cute! We love trail mix and always have some on hand. Oh man that looks yummy!!! It would be the perfect snack for me at my desk in the office!